There is an event that brings out thousands of photographers every year – the Worldwide Photo Walk. It was started by Scott Kelby, an internationally famous photographer and author, and he encourages others to add photo walks in their own cities. 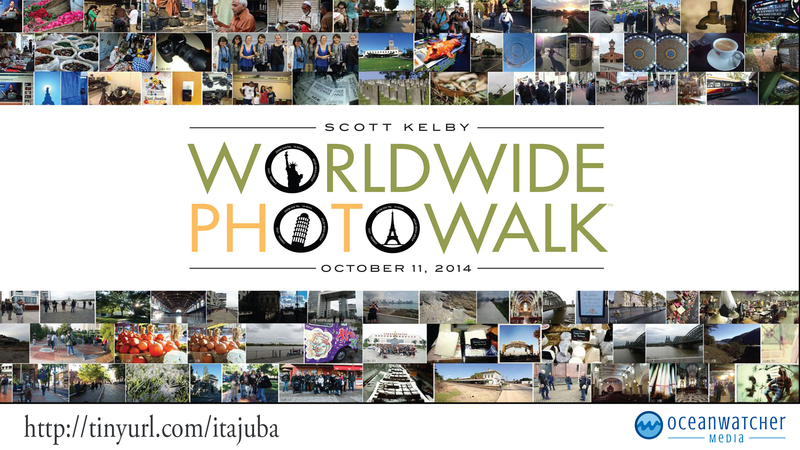 So this year, on October 11, I am going to host a walk in Itajubá! There are a lot of places I could have chosen, but this time I decided to use the opportunity to visit two different markets. One that is only available on Saturdays, the other is the permanent central market. After the walk, we will head over to Café Floresta for a coffee and a chat! You’ll find all the details in the text under here, both in Portuguese and English. A big thank you to Sarah Marques and Eni Rodrigues for translating and revising the text! Vamos começar visitando a feira de sábado, que acontece ao longo do rio Sapucaí, atrás do Banco ITAU. Haverá muita gente por lá e esta ocasião deve render muitas fotos interessantes. Depois de passar algum tempo no local, atravessaremos a ponte para o Mercado Municipal. Dentro do Mercado, temos alguns desafios fotográficos diferentes, pois trata-se de um edifício antigo com muitos detalhes interessantes. Depois, caminhamos para o outro lado da cidade, passando pelo centro e nos reuniremos no Café Floresta, para tomarmos um café, comer alguma coisa e para uma conversa geral sobre a nossa saída fotográfica. No Café Floresta há uma boa conexão com a internet então, se quiser fazer o upload de suas imagens e tiver um computador ou telefone disponível, você poderá fazer isso lá mesmo. Lembre-se: Você não precisa ter uma câmera avançada para participar! Uma câmera compacta (de bolso) ou um celular, já são aceitáveis! Se quiser, você também poderá fazer o upload de uma (1) foto da caminhada para o site oficial “caminhada fotográfica” e participar de um concurso com vários prêmios. O vencedor local, em Itajubá, receberá uma assinatura de um ano inteiro no Kelby One (no valor de 249 dólares) e concorrerá a outros prêmios em concursos por todo o mundo. We will start by visiting the Saturday market along the river behind Banco ITAU. There will be a lot of people there and it should provide us with many opportunities for interesting pictures. After we have spent some time there, we will walk across the bridge to the central market – Mercado Municipal. As this is partly indoors, it gives us some different photographic challenges. It is also an old building with a lot of interesting details. From here, we walk towards the other side of the city center and meet up at Café Floresta for a coffee, something to eat and a general chat about our day. They have a good internet connection, so if you want to upload your images, you can do that there if you have a computer available (or a phone). Remember: You do NOT need to have an advanced camera to participate! A pocket camera or a phone is also acceptable! If you want, you can also upload one (1) picture from the walk to the official photo walk website and participate in a competition for several prices. The local winner in Itajubá will receive a full year membership to Kelby One (a $249.00 value) and compete for other prizes in the worldwide competition.